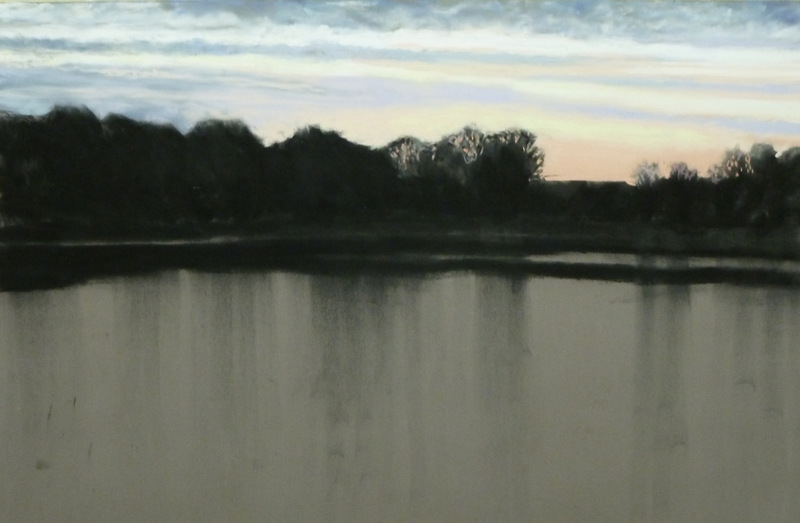 Work in Progress: Abenddämmerung am Mühlensee (Twilight over Mühlensee). First I did the dark areas with charcoal. I then applied the sky with pastel.